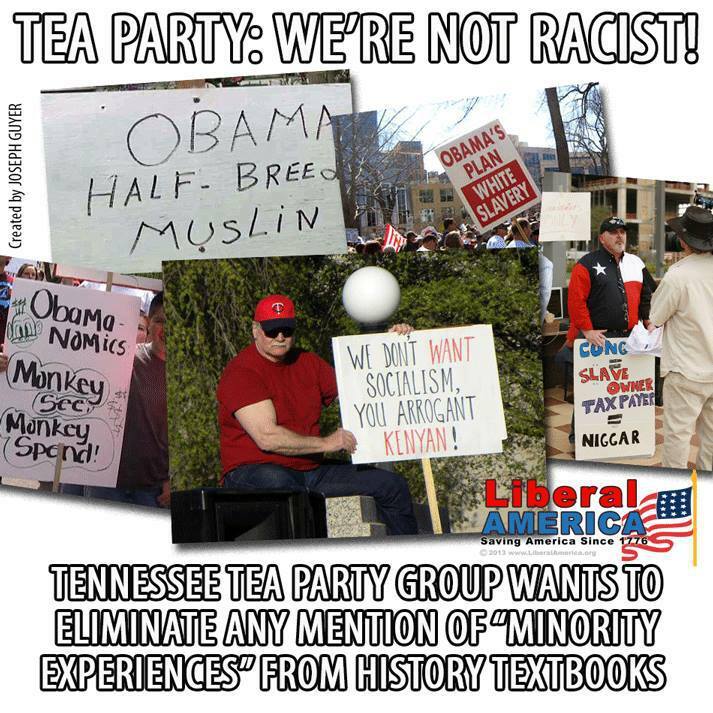 Tea Party Group shows Racism! Morally I can not have respect for a group of people, or should I say, Fellow Americans, who so blatantly display so much hate and racism. You are only demonstrating that facts mean nothing to you. Therefore, you demonstrate your totally stupidity and lack of moral character. Posted on July 22, 2014, in Uncategorized. Bookmark the permalink. Comments Off on Tea Party Group shows Racism!.